How Politics Killed Universal Child Care In The 1970s In 1971, the United States came very close to having universal, federally subsidized child care. How did Congress come to pass the legislation? And why President Nixon vetoed it? 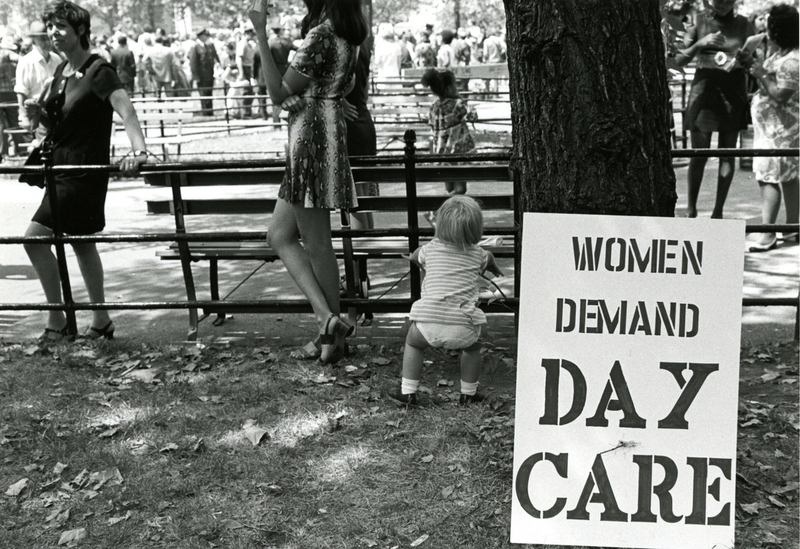 Women demonstrate for accessible child care at the First Women's March down Fifth Avenue on Aug. 26, 1970. American parents often have difficulty securing care for their children while they go to work. Child care in the U.S. is tremendously expensive, and in many parts of the country, extremely scarce. Rewind almost 50 years, and the same problems existed. But in 1971, the United States came very close to having universal, federally subsidized child care. NPR examines how Congress came to pass the legislation, and why President Nixon vetoed it.